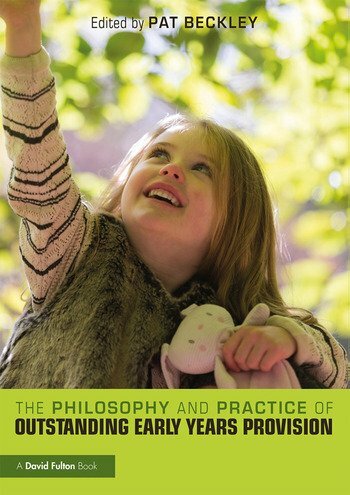 This book examines the philosophical and theoretical foundations of early years practice, and supports practitioners as they reflect on the collective and personal rationales which motivate and inform their work with young children. Theoretical underpinnings are explored from a variety of perspectives, and are translated into effective strategies for application in a range of early years settings. Featuring contributions from leading early years professionals, The Philosophy and Practice of Outstanding Early Years Provision draws on sound expertise to deepen the reader’s understanding of the concepts and ideas behind everyday practice. The book is divided into four easily navigated sections which explore key issues including the creation of enabling environments, leadership in the early years, the opportunities and challenges presented by diversity, and the value of creative approaches. Recommended strategies are discussed in relation to emerging global pressures and the needs of the contemporary child, inviting practitioners to modify and enhance future behaviour and practice. This will be essential reading for students and practitioners who wish to improve current and future practice by gaining insight into the philosophical foundations which underpin outstanding provision. Pat Beckley is Senior Lecturer in the School of Teacher Development at Bishop Grosseteste University, UK. She teaches across the undergraduate, early years teacher status, and postgraduate primary and MA in education courses, and supports work within the research modules and dissertations throughout these programmes.